In his new book, About a Mountain, John D’Agata refers to the “confluence” of a Senate vote on Yucca Mountain and Levi’s suicide. NY times critic Charles Bock takes umbrage with D’Agata’s admission in the footnote that these events were separated by 3 days. Oddly enough in my readings and discussions with students, and with D’Agata himself, NOBODY mentioned this as important, much less what Bock calls the “heart of a crucial section.” That doesn’t mean that this isn’t an important question, but it may suggest that the power of the book does not in any way turn on this confluence as fact. As a reader, I didn’t notice or care about this supposed violation, mainly because the book is clearly not one of factual convergences but one that uses juxtaposition to create (sometimes intentionally abrupt and harsh) convergences of thought on the page. Everything in the book happens simultaneously, reflecting (I believe) D’Agata’s consciousness on these subjects. The problem, perhaps with any endnote, footnote, author’s note or other form of contractual disclaimer is that it not only serves as a kind of apology for the art of the form, but it releases the reader from the responsibility of engaging with the text on its own terms. It removes the text from the realm of consciousness and puts it into the realm of verifiable fact. In his review of the book, LA Times critic David Ulin also mentions D’Agata’s endnotes, quoting them in his opening, and raises the specter of conflated time and composite characters before he essentially says that none of that stuff really matters in the end because the book is well-written, honest in it’s intentions, and not fundamentally a time-centered, character-driven text. All that being said . 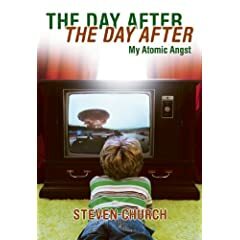 . . D’Agata could have just written, “There is no explanation for the confluence that night of the Senate vote on Yucca Mountain and the death, three days later, of a boy who jumped from the tower of the Stratosphere Hotel and Casino.” . . . right? That doesn’t seem too syntactically clunky to me, AND it clears up any possible confusion. I think, perhaps that D’Agata also sets himself up for some of this factual interrogation from reviewers and readers with his choice the form (chapters separated into Who, What, When, Where, How, Why) and the methodology (interview-based), even if it’s not necessarily what I would call a “journalistic” book (or a “memoir” for that, matter). Honestly, I think it’s a shame that the reading and appreciation of a good book, an important book, gets derailed by focus on an endnote or author’s note, a formal convention that often amounts to an apology for the art of a genre. “That doesn’t seem too syntactically clunky to me, AND it clears up any possible confusion” I agree… and of course my cynical mind wonder if the confusion wasn’t deliberate. Everybody is certainly talking about the book. Agreed. It’s NOT the central turning point of the book, so why does he do it? Your suggested sentence would mean that we could be focusing our discussion on the parts of the book that ARE central, rather than be distracted by the annoyance (for me) of being told one thing in the text and another in the footnotes. I don’t have a problem with conflation if it’s for a clearly good reason, but this doesn’t seem good enough to warrant hijacking the discussion from the rest of the book, which is what it ends up doing. You are currently reading Steven Church on Convergences of Thought and John D’Agata at BREVITY's Nonfiction Blog.